Summertime, and the livin’ is easy… at Sushi and Robata! Sizzle and smoke, a cool craft beer to hand = the recipe for the perfect barbecue moment. Come rain or shine, Sushi and Robata fires up your perfect barbecue moment whatever the weather. There is surf and turf, pork and chicken, salmon or sirloin and so much more to tickle the tastebuds let alone all the sides imaginable: noodles, slaw and sushi. This summer have a PRE PROMS PICNIC at Sushi and Robata and then hop on the Number 9 Routemaster: next stop The Royal Albert Hall! 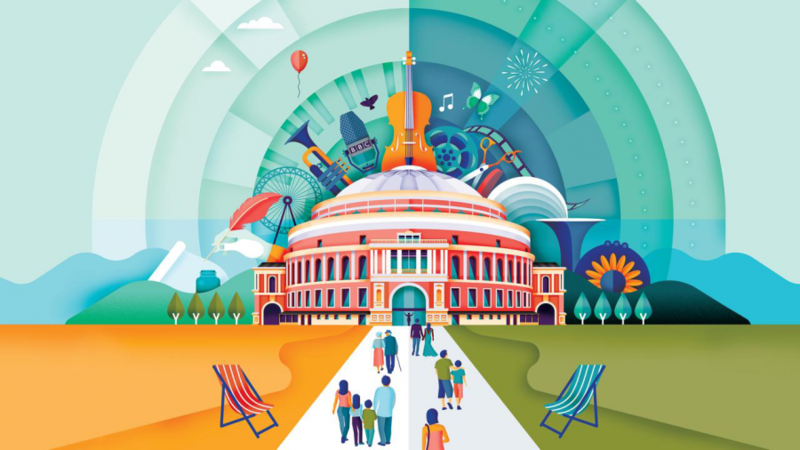 Proms kick off is July 15 at the Royal Albert Hall promptly at 19:00 and continues throughout the summer to the final Proms in the Park on September 10. Dine in with us or order your bbq to go by 6 so you can take it away to picnic in your box. The Serpentine is another summertime stop: Brooklyn born, American artist Alex Katz’s spare and poetic landscapes and recent portraits are on view until Sunday, September 11. Also on show is the expanded Summer Pavillion programme: step inside 4 individually designed 25sqm Summer Houses based on nearby Queen Caroline’s Temple. Fill up on culture and come relax with us or get primed for Park Nights when the Serpentine features interactive performances by artists, writers and musicians.